The number of India’s once endangered tigers has increased significantly in the last two years thanks to conservation efforts. The relocation of the threatened animals to new habitats is proving to be beneficial. India has been under intense international scrutiny over its tiger conservation efforts, as the country is home to over half of the world’s estimated 3,200 tigers in its 41 reserves and national parks. The illegal hunting of tigers in the first half of the last decade was a cause of worry for the Indian wildlife officials. In 2005, the Indian National Tiger Conservation Authority decided to step in and intensified its efforts to conserve the animals. In 2004, the population of Indian tigers at Rajasthan’s Sariska National Park was on the verge of extinction due to poaching. After the tiger translocation program – which commenced in 2008 – the park has now 10 big cats, including two cubs and five female tigers, which have been relocated from the nearby Ranthambhore Park. 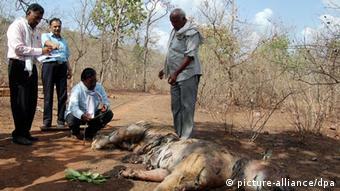 “We should have done this experiment a long time ago,” Dinesh Durrani, a member of the Sariska Tiger Foundation, told DW. 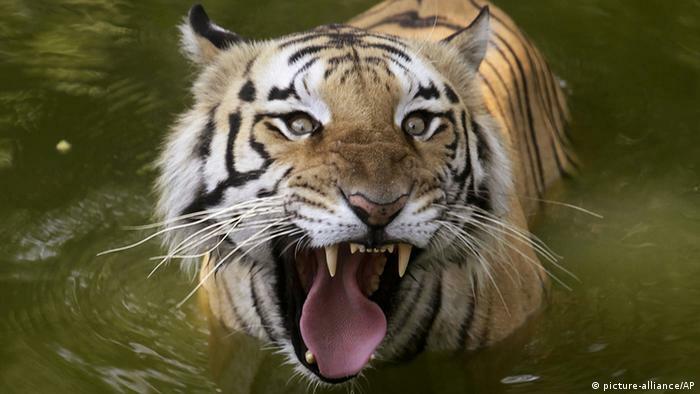 In 2012, over 80 tigers died – more than half of them as a result of poaching. It was the highest figure in a decade. Most of the killings were reported in the western states of Maharashtra and Karnataka. Inspired by the efforts made by the Sariska Tiger Foundation, the central Indian state of Madhya Pradesh recently translocated some tigers to the Panna Reserve, where no big cat had previously survived. “The only two places where the tiger translocation program has been successful are the Panna Reserve and Sariska. There are around 28 tigers at Panna now,” said Koustubh Sharma, a wildlife conservationist. Sharma, who has been involved in the radio-collaring program for tigers at the Panna Reserve, told DW that big cats would breed more frequently, if they received proper protection and the right kind of prey base. At a time when the poaching of tigers was at its peak, the Indian authorities somehow managed to reverse the trend, thus enabling the tigers to make a successful comeback. As a result, the number of tigers in the northern state of Bihar has also doubled in the last three years, say wildlife experts say, adding that other countries can take inspiration from India in this regard. Experts, however, believe that despite the increase in the tiger population, there is no room for complacency as the poachers are also looking for innovative ways to hunt down the animals. 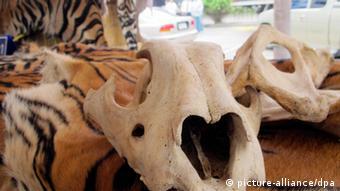 China has become the biggest marketplace for tiger parts in the world. Driven by strong demand from traditional Chinese medicine practitioners, the body parts fetch high prices on the black market. While tiger bones sell for about 1,000 US dollars per 100 grammes, prices for tiger skins can range from 11,000 to 21,000 US dollars. In July 2012, the Indian Supreme Court banned tourists from entering the core reserves of tiger sanctuaries in a move it thought would help curb poaching. But this ban was subsequently lifted with the court asking every state to prepare detailed tiger conservation plans. Core areas in India’s tiger reserves hosting sufficient prey animals, shelter and water for the big cats are critical for the conservation of the tiger. On the other hand, many small villages in India are located around these tiger sanctuaries. This has led to incidents where the villagers have killed the tigers for attacking their livestock. “The radio-collars around the tigers’ necks have helped us monitor their movement. We can now tell if a tiger saunters into human territory,” said Durrani. “This initiative will help put an end to the tussle between humans and tigers,” the wildlife expert hopes.